Bollywood is the Indian version of Hollywood. “It is the Indian Hindi-language film industry, based in the city of Mumbai.” “Indian cinema sold an estimated 3.6 billion tickets annually across the globe, compared to Hollywood’s 2.6 billion tickets sold.” We think it’s a good idea of NetEnt to create a game based on the worlds most popular film producer. 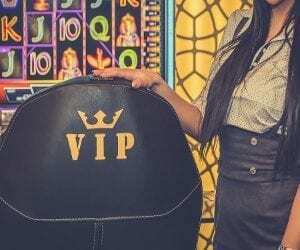 Before reviewing this game we on NetEntCasinoNoDepositBonus saw a Bollywood movie. It was okay. It was lot’s of song and dancing in Indian style. 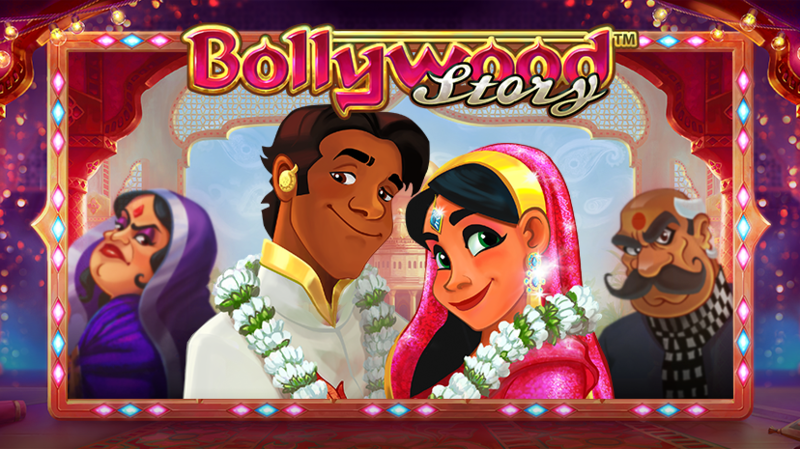 We liked to watch a Bollywood movie and got very curious on this Bollywood theme based game from NetEnt. You can see a video from the game below! According to NetEnt, this Bollywood story is simple. A young Indian man meets an Indian girl. They fall in love. The Indian cast-system becomes a problem, the young man is too poor to marry the girl. The girl steals gems and gives to her beloved and he can buy her the wedding she deserves. In the game your goal is to get three or more blue jewelgems. 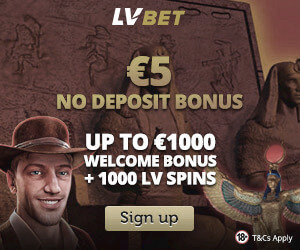 You can get 3, 4 or 5 blue jewel gems and you will get 10, 20 or 30 freespins. During the freespins-mode you can earn more freespins by getting 3,4 or 5 jewel gem symbols. In every spin on this 5 reel and 3-row game you get something called, floating wilds. This means that you get between 2 and 4 wilds on every spin. It is similar to a NetEnt game called Lights but this game is much more entertaining. You get between 3 and 6 floating wilds in the free spins-mode. The most valuable symbol is the Logo, 5 of them is 1000 coins. The second best is 5 girls and you will get 750 coins. The boy gives you 500 coins. You need three of a kind to get a payout. 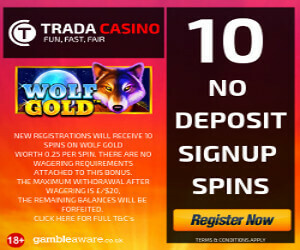 The minimum bet is 0.09 £ for each spin and the highest bet is 90£ for each spin. The graphics are okay. The game consists of higher valued funny symbols on Indian people and lower valued symbols, (10, J, Q, K and A). The game is good but simple. It could have been one more feature as an extra “spice” in our opinion. The best with the game is the lovely Indian background music and the special Indian music played while you get big wins. If you like Indian music and prefer simple games this slot is a good choice. 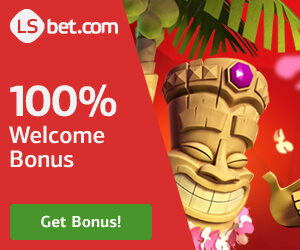 We on NetEntCasinoNoDepositBonus like it and give it a strong 3.5/5 rating. We almost gave it a 4/5 but since it lacks “the extra spice” or the X-factor we give it 3.5/5! It’s worth playing for a while and it’s a decent game created by our favorite game developer NetEnt.